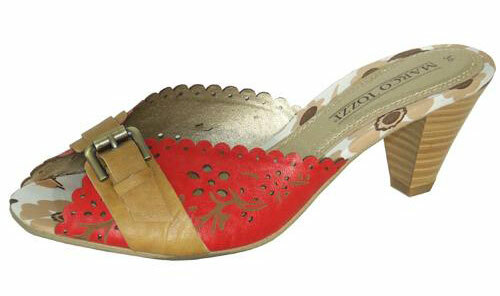 Unusual imitation leather scarlet mule with mock buckle and dye cut flower pattern across the toes. Beige & white flower padded insole & 2" heel. Also available in white.